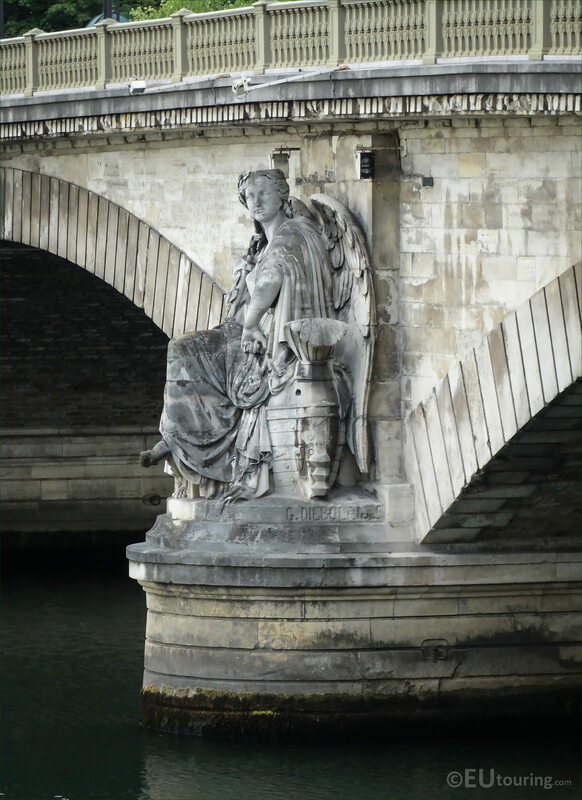 We were again by the River Seine at the Pont des Invalides when we took these high definition photos showing the statue called Maritime Victory, which was sculpted by Georges Diebolt. 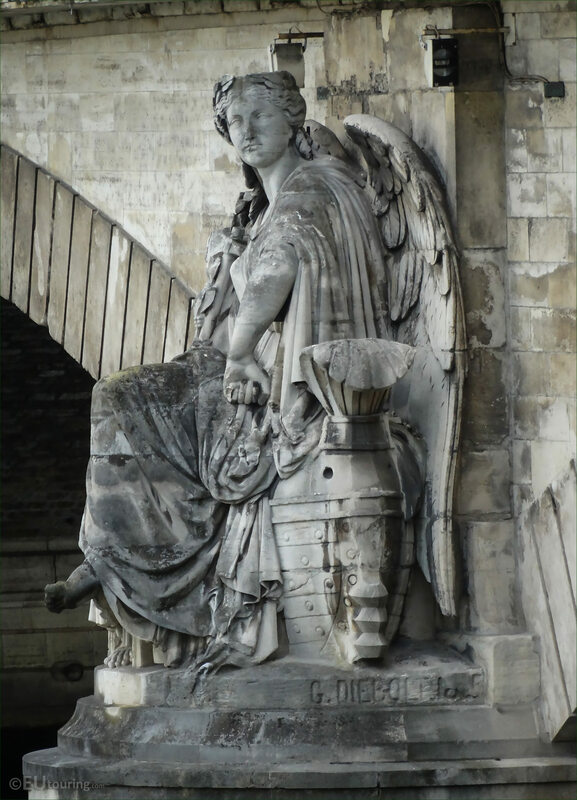 This first HD photo shows a statue located on the central pier of the Pont des Invalides, which was an additional pier put in place to strengthen the bridge, and this was sculpted as an allegory to represent Maritime Victory, and hence its name. As you can see from this close up image, the Maritime Victory statue was produced in stone by Georges Diebolt, who was born in Dijon in 1816, and having studied at the Ecole des Beaux Arts he became a French sculptor, winning the Prix de Rome in 1841, which led to several public commissions during the Second Empire. And although his life was very short, he produced several monumental sculptures and statues, with his best known works being for the Pont d'Alma and this one on the Pont des Invalides, which led to him being awarded the Legion of Honour before he died at only aged 45. 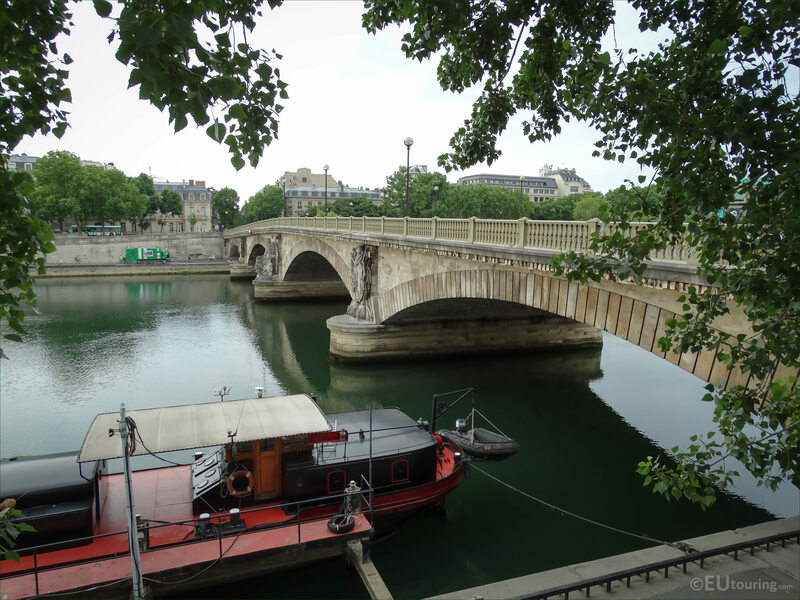 Now this last photograph shows the eastern side of the Pont des Invalides, which goes from the 8th Arrondissement of Paris over the River Seine to the 7th Arrondissement, and as you can see, there are three piers, two with military trophies and the third is the central one with the allegorical statue.